SOOOOO I tried minimalism and I'm seriously never going back. Unless you've been living under a rock for the past 5 years or so, you're probably somewhat familiar with Minimalism. The new less is more mindset that has become a growing trend in recent years. 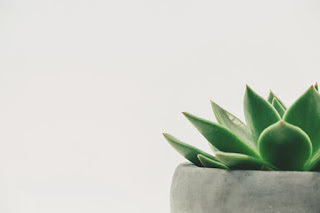 I jumped on the minimalism bandwagon mostly because I'm naturally a minimalist anyway so when I found out it was really a thing I was super excited to learn more. So what is minimalism anyway? First and foremost I want to make it very clear that minimalism is different for everyone. There is no one size fits all and you can make it whatever you want to make it. But basically minimalism is learning to live with less so you can take the time to appreciate the important things in life. Learn to live in the moment, love more, have less clutter and not focus so much on material things. I think one of the reasons why minimalism is so popular because people are starting to be super concerned about the environment and what we are doing to our Earth. People are becoming more conscious about how much waste we produce every single day (its staggering by the way). I also think that people want to spend less money on things and more money on travel and new experiences. Regardless of the reasoning I just thing people are starting to more towards the less is more movement. When you have less stuff it makes your life easier in many ways and for me it has been incredible. I have so much stuff in my house that I simply don’t need. I still have some nail polish from high school-almost 10 years ago. I still have clothes from when my kids were toddlers that I don’t need anymore. I have things that I don’t use any longer. So I’ve been on a hard-core de-cluttering mission and here are the top things that I’ve gotten rid of. Clothes I no longer wear. Old mail and useless papers. Jewelry that is old and cheap. Food from the fridge/pantry I won’t use. Clothes that you no longer wear. Once you've de-cluttered, you need to reduce what you bring into your life and into your home. In addition to getting rid of tons of stuff (I mean bags and bags of stuff), there are things that I simply won’t buy anymore. And this helps reduce the clutter that I bring into my home. 2. Nail polishes and excessive makeup. 3. Cheap toys that won't last long. I know your kids might always want something new every time they go to the store, but I simply tell my children no. No, this is just a cheap toy that you won't want anything to do with in a couple days and we are not wasting our money on it. How to create a capsule makeup collection. Additional changes I am making to my lifestyle. I’m reading more and watching less videos. I truly do enjoy reading but I think I just struggle finding books that I really want to read. My poor computer is just loaded with years of stuff. Mostly photos and images, but lots of things that I don’t need anymore. I honestly took a break from my computer because it was so cluttered I just didnt want to deal with it. Recently though I’ve started cleaning out my computer and backing up all of my important files and it’s making a huge difference. Cleansing and re-evaluating my social media. There comes a time in everyone’s life when they feel like they need to delete people from their social media. I routinely remove all accounts that I don’t engage with a lot or aren’t interested anymore. Lately I’ve been removing all news related accounts and replacing it with travel and minimalism inspo accounts. I have found that the news always tends to leave me feeling depressed or angry at something and I don’t need that negative energy in my life. Replacing the toxic accounts with ones that will help inspire me was definitely a great choice. Lately I have been going out without my phone and let me tell you, it's amazing. These are just a few ways that I am making changes in my life to become more of a minimalist. I will add more as I do them! This is definitely going to be a journey for me so it will be exciting to share. Are you on a minimalism journey? Let me know in the comments! Love this so much - decluttering my computer is something I never think about until I need to and then never have time to do! Taking a few minutes to sit down and just do it would be so much more time efficient than waiting until I'm in a rush and don't have space to save a needed file. Cleaning up my social media is another that I hadn't thought of but very much need to do! Thanks so much for sharing these! I love to de-clutter. It's like therapy. Thank you for sharing your thoughts-great post. I particularly like the section about social media-something a lot of people wouldn't think of.